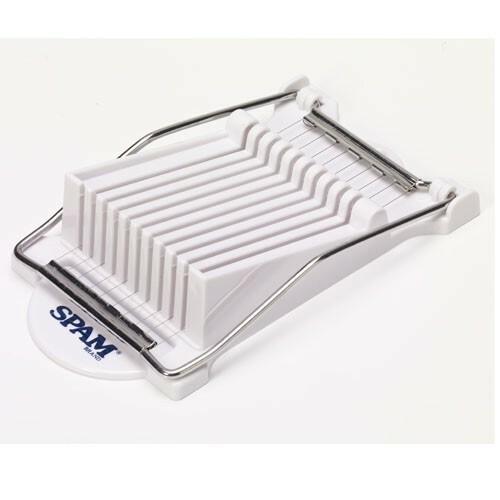 SLICE AN ENTIRE CAN OF SPAM® PRODUCT INTO 9 SLICES WITH THIS EASY TO USE WIRE SLICER. THE WORDS "SPAM® BRAND" PRINTED IN BLUE ON THE BOTTOM OF THE SLICER. A NECESSITY FOR EVERY KITCHEN!